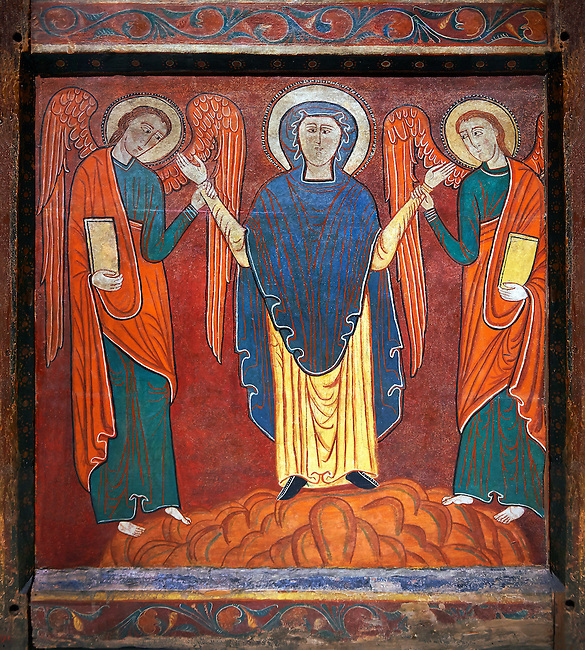 Romanesque thirteenth century painted altar front of Saint Roma de Vila, Encamp, Andorra, showing The Virgin Mary flanked by two angels. National Art Museum of Catalonia, Barcelona 1922. Ref: MNAC 1587.